Looking for Exceptional Marketing and Communications Talent for Your Northern Virginia Business? A Headhunter Can Help! Hiring, even under the best of circumstances, can be time consuming and challenging—especially here in the Washington, DC region where competition is high and the labor market is tight. And especially when filling marketing, communications and public relations jobs, when you need not only candidates with the right skills but who also are the right “fit” with your company culture. If you’re been searching for someone to lead your digital analytics team with little luck, it’s time to call in the experts. At TorchLight, we have connections to marketing superstars ready and able to hit the ground running. Searching to Hire a Content Marketing Specialist in DC? Look No Further! TorchLight’s experienced marketing recruiters have connections to highly skilled marketing and communications job seekers. Content specialists have special storytelling skills—they use creativity to promote a company’s brand. Where do you find the best marketing experts to hire? Contact TorchLight. Hiring Managers: Looking for a Highly Skilled Marketing Manager in DC? Finding a highly qualified marketing manager to fill an open role takes time and patience. Sifting through a pile of resumes is likely one of a long list of things on your to-do list. So, why not leave the search process to the experts? Does the new season inspire you to look for a new communications job? TorchLight’s jobs board has opportunities for a fresh start, whether you’re looking for corporate communications manager, writer or contract communications jobs. DC Hiring Managers: Do You Need to Hire Marketing Talent But You’re Struggling with Budget? Lack of Time? Can’t Find the Right Candidates? 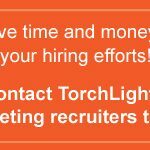 Let TorchLight, DC’s trusted marketing communications recruiters, help! We can save you time and money AND find the right fit for your team and company culture. 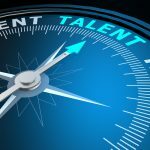 In its survey of hiring managers last year, GlassDoor revealed that 76% of hiring managers struggle to find the right talent for the job. This is especially true here in Washington, D.C., where low unemployment and a competitive marketplace are putting the squeeze on companies looking to hire top marketing, communications, digital and PR talent. Ready to take your career to a new level? Find a new marketing job in DC, Northern Virginia and Maryland today! Is it time for a new marketing job? Whether you’re looking to climb to the next rung on your career ladder or simply looking for a change, TorchLight marketing headhunters want to meet you. Is Your DC-Area Company Searching to Hire a Seasoned Social Media Director? TorchLight’s experienced marketing recruiters are ready to help. We know the area’s top talent! Keep your Washington business on the leading edge and stay one step ahead of your competitors by hiring an experienced social media director–one of the most important and in-demand marketing jobs in DC today!